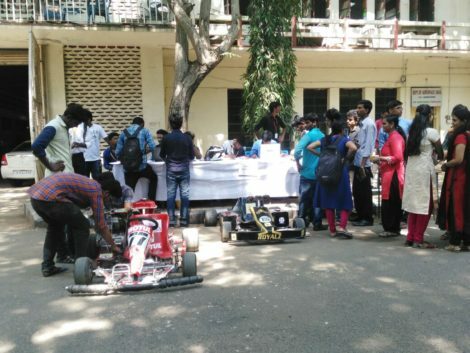 Spark is an intercollege technical symposium conducted the department of automobile engineering and the Society of Automotive Engineers collegiate club of MIT on the 7th of October. 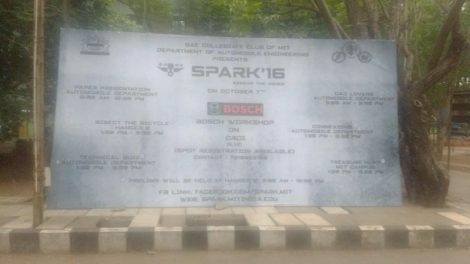 Spark 2k16 edition featured 7 onsite events and 1 workshop, which made it the focal point of automobile engineers throughout the city. The paper presentation, having 30+ entries, stood as a platform for the inception of innovative ideas. 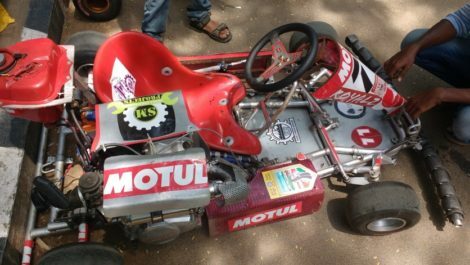 Technical events like bisect the bicycle, technical quiz, CAD lovers saw many automobile addicts showing their passion for the field. Non-technical events like Connexions and treasure hunt became a forum were students from various departments participated enthusiastically. 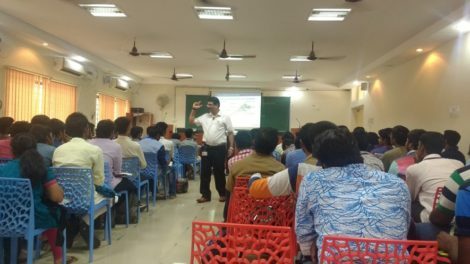 The workshop conducted by Bosch on Common rail direct injection (CRDI) was the show stopper, having more than 120 participants. “A success like this cannot happen overnight. The wheels start rolling long ago. It requires planning and a bird’s eye for details. We have been fortunate enough to be backed by a team of very motivated and dedicated members who know their job and hence the result. This success has raised the bar for Automeet 2k17, and I’m sure we will exceed the expectations”. The sublimity of Spark 2k16 will always remain in the hearts of all the participants. This entry was posted in Campus, Campus events, General. Bookmark the permalink.